Obviously, we've also evolved ways to get those babies out. 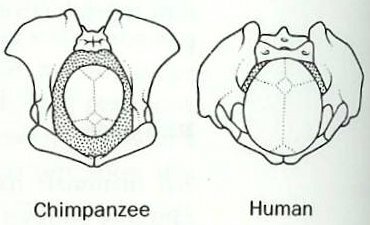 Biologically, towards the end of pregnancy, a hormone is released that weakens the cartilage of the pelvic joints, allowing the bones to spread; and the fetus itself goes through a complicated movement to make its way down the pelvic canal, with its skull bones eventually sliding around and overlapping to get through the pelvis. 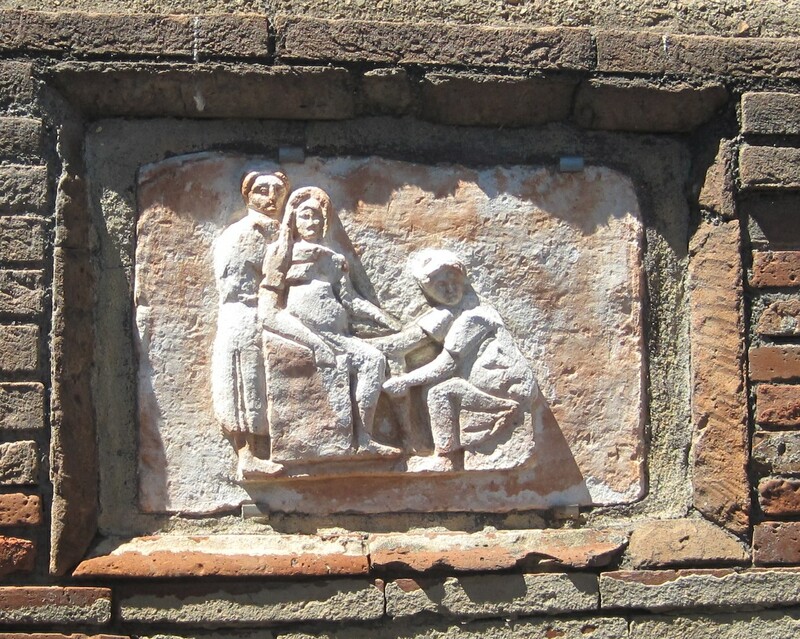 Culturally, we have another way to deliver these large babies: the so-calledcaesarean section. 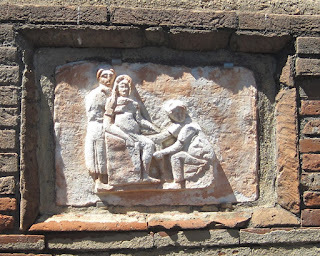 We can make the hypothesis, though, that because of the Lex Regia/Caesarea, we should findno evidence in the Roman world of a woman buried with a fetus still inside her. This hypothesis, though, is quickly negated by two reported cases - one from Kent in the Romano-British period and one from Jerusalem in the 4th century AD. The burial from Kent hasn't been published, although there is a photograph in the slide show above. W. Gilbert, D. Jandial, N. Field, P. Bigelow, & B. Danielsen (2004). Birth outcomes in teenage pregnancies. Journal of Maternal-Fetal and Neonatal Medicine, 16 (5), 265-270. DOI:10.1080/14767050400018064. A. Willis, & M. Oxenham (In press). A Case of Maternal and Perinatal Death in Neolithic Southern Vietnam, c. 2100-1050 BCE. International Journal of Osteoarchaeology, 1-9. DOI:10.1002/oa.1296. Note: Thanks to Marta Sobur for helping me gain access to the Zias 1995 article, and thanks toSarah Bond for helping me track down the Justinian reference. You are wrong about Plinius. He didn't state Julius Caesar was born this way, but one of his ancestors. In fact, Plinius said exactly the oposite, that the family's cognomen came from this fact, this c-section, not the other way around.